What changes were made to web services in the 12.0 release in March 2019? Does Portfolio Manager Support Transport Layer Security (TLS) Version 1.0? What changes were made to the web services in the 11.0 release in August 2018? What changes were made in the February 2018 web services 10.0 release? What changes were made in the August 2017 web services 9.0 release? What changes were made in the February 2017 web services 8.0 release? What changes were made in the August 2016 web services 7.0 release? What changes were made in the February 2016 web services 6.0 release? What changes were made in the August 2015 web services 5.0 release? What changes were made in the February 2015 web services 4.0 release? After I apply for access to the web services LIVE environment as a data exchange provider, will my customers also need to apply for LIVE access for their individual accounts? No, customers that wish to have a web services provider manage their data should not apply for access to the LIVE environment for their own accounts. Customers grant web services providers permission to manage their data via the connection/sharing process within Portfolio Manager. Only data exchange providers that have developed software that integrates with Portfolio Manager need to request LIVE access within their Account Settings in order to begin exchanging data. Once a data exchange provider’s account has been approved for LIVE access, they can begin exchanging data on behalf of customer accounts that have connected with their account through the connection/sharing process. Can I get a score (and certification) if my Data Center is not separately metered? Can I use the same account to run web services in both the test environment and live environment? Can my current Portfolio Manager data be copied into the test web services account for testing purposes? 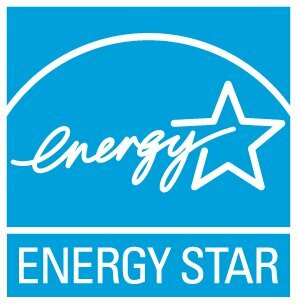 How should I display ENERGY STAR metrics in my software?